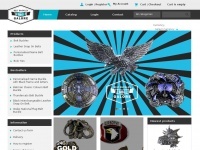 Belt Buckles Galore: UK based online shop specialising in belt buckles and belts. We have the widest range of belt buckles online and are sure we have something to suit you. Our belt buckles range in style from well known brands such as Jack Daniels, Budweiser, Wrangler and Truimph to novelty belt buckles such as Batman, Betty Boop and Superman Belt Buckles.